Whenever I send a CV to a new agency, I always tag in my SFS link so agencies can see exactly what they are getting with me. I believe that through doing this it has enhance my employability with many agencies and shows my ... read more. I have been with SFS for over a year and was introduced by a friend. It has opened so many doors for me in the PR industry. I am now registered with over 12 agencies, get offered regular work and can choose what suits me ... read more. StuckForStaff offers a full solution to the Live Brand Experience industry. Whether you are a company interested in Brand Experience Marketing, a Brand Experience Agency interested in finding new clients or developing your Staff Database or Brand Ambassador looking for work with a Brand Experience Agency, StuckForStaff.com can provide the perfect solution. Companies interested in developing your brand can do so by utilising the Tender service offered by StuckForStaff. Submit your enquiry and get any of the leading Brand Experience Agencies to provide you with a detailed proposal. Brand Experience Agencies can simply register with StuckForStaff and benefit from the wealth of services on offer. 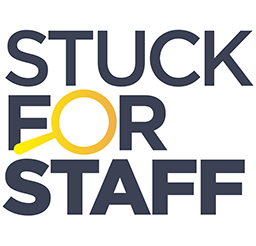 StuckForStaff allows you to spend more time focusing on the development of your Brand Experience Campaign and less time finding new business or the right Brand Ambassadors. Brand Ambassadors can register with StuckForStaff and have access to a wealth of resources allowing you to get more work within the Live Brand Experience Industry from any of the leading Brand Experience Agencies.